The last collection of B-Sides and rarities I probably listened to more than once was Lonely Revolutions, Biffy Clyro’s accompaniment to the stellar Only Revolutions. I think the main reason I enjoyed it was because of how good Biffy are, and some of The Gaslight Anthem’s collection is good for similar reasons, but most of it manages to fall a little flat. The B-Sides features six acoustic tracks (one of which is live), five covers (one of which is live) and one ‘new’ track. ‘She Loves You’ is new to me, but only because I don’t own the extended version of American Slang, which it featured on previously. I expected more from the band, especially considering their respectable discography and love for the music that inspires them but The B-Sides seems surprisingly lazy, and it’s a shame. The collection clocks in at eleven tracks and forty minutes, which isn’t too bad. However, considering it’ll cost you the amount a standard album would I can’t help but wish they’d thrown on a few more acoustic tracks or demos. The band just released a new live album so I can’t really fault them for not featuring more live performances, but overall it does seem to come up a little short, especially when ‘Once Upon A Time’ also featured as a bonus track on The 59 Sound however many years ago. There are never really any expectations for a B-Sides album and it means that artists can release just enough to quench an audience’s thirst for new material, but maybe more effort should have been put in here. I love The Gaslight Anthem and I’m grateful for anything I can add to my collection, but from a review standpoint there’s only enough to truly entice diehard fans. The songs that compose The B-Sides are of disappointingly differing quality. Some of the covers and acoustic renditions are worthy takes on the originals but only a few deliver enough to justify a purchase. Opener ‘She Loves You’ is particularly good, showcasing the band at their best as it slowly creeps along with Fallon spinning a story over brooding instrumentals. It’s an anthemic ballad that carries a lot of that trademark Gaslight charm that makes them one of the world’s most engaging bands on their day, stirring up images of old America and sullen streets. That same charm could have benefited the entire collection hugely if it only cropped up more often. Very few of the covers leave a mark although all are commendable takes on the originals. Fake Problems’ ‘Song For Teenagers’ is the pick of the bunch, sounding refreshingly nostalgic as a result of hazy vocals and melodic guitars – there’s a very ‘We Did It When We Young’ feel to it which works very well. None of the other covers really come close, although Pearl Jam’s ‘State Of Love And Trust’ is solid enough, as is the catchy cover of ‘Tumbling Dice’ by the Rolling Stones. Final track ‘Once Upon A Time’ is as excellent as the opener likewise, if you’ve heard it before then it doesn’t add anything to the collection, despite being one of the best songs to feature. The acoustic tracks are the weakest aspect of the collection which is surprising, as you’d think a lot of the bands songs would be ideally suited for the acoustic treatment. The normally rousing ‘The 59 Sound’ comes across as incredibly lacklustre when compared to the energy and passion of the original – Fallon sounds tired and as a result it makes for a tiring listen. The acoustic takes on ‘The Queen Of Lower Chelsea’ and ‘Great Expectations’ are better, however both still sound slightly jaded. The former especially benefits from a subtler approach, sparking up during the chorus and dropping off for the verses, with Fallon’s vocals being much more convincing throughout. The faded ‘Boxer’ manages to lose almost all of the originals charisma and the effects used on this song detract massively from a song that should sound emphatic regardless of how it’s played. I never know what to expect from a B-Sides collection, but I know I expected more from this one. Part of me regrets picking this release up on vinyl and pre-ordering it on the strength of the bands reputation and the collections tracklist. After giving it a few spins it’s lost most of its appeal, sounding a little cheap. 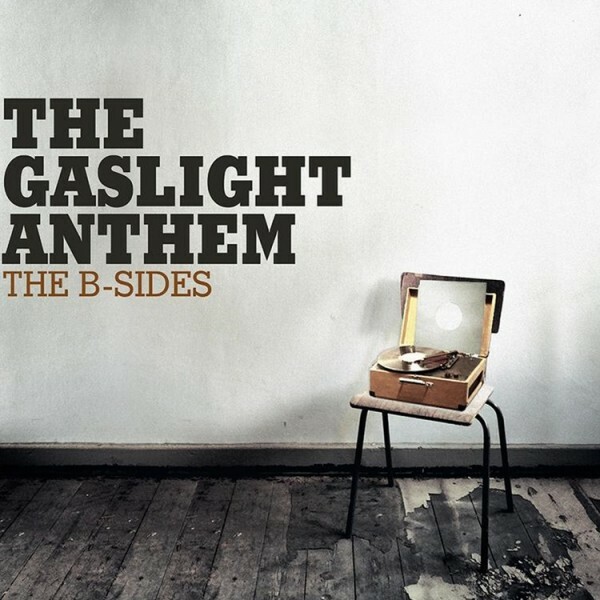 The B-Sides doesn’t quite leave a bad taste in the mouth but it simply isn’t enough, and doesn’t really do The Gaslight Anthem justice bar a few standout additions. your blog posts. Any way I’ll be subscribing to your feeds and even I achievement you access consistently rapidly.